The important thing to remember is the amount of elemental calcium provided by the supplement. This is the actual amount of useable calcium. The rest of the calcium in the tablet is coupled with a salt that makes it unavailable to the body. Calcium glutamate is only 9 percent elemental calcium. A 500-milligram tablet of calcium glutamate may contain only 45 milligrams of elemental calcium, even though you were led to believe you were taking 500 milligrams of calcium. Calcium carbonate, on the other hand, is 40 percent elemental calcium; 500 milligrams of calcium carbonate would provide 200 milligrams of usable calcium. When you’re stressed, the calcium in your diet is excreted rather than used. For example, your body absorbs more calcium if you take one 250 milligram tablet twice a day rather than one 500 milligram tablet once a day. If a higher dose calcium tablet is a better buy, break it in half. Lactose is the sugar contained in milk. However, keep in mind that chocolate milk is not a good source of calcium, because chocolate contains calcium-binding oxalates, interfering with calcium absorption. Soft drinks that contain citric and phosphoric acid can decrease the absorption of calcium rather than boost your calcium intake. So a 12-ounce cola may rob the body of 100 milligrams of calcium. That being said, it’s best not to mix a high-fiber meal with a high-calcium one. The ideal calcium-phosphorus ratio is 2 to 1 (close to the proportion found in human milk) which has an almost perfect calcium-to-phosphorus ratio of 2.3 to 1. The ratio in cow’s milk is 1.3 to 1. The higher the phosphorus content of the food, the more calcium is excreted in the urine, leading to a loss of calcium. Foods high in phosphorus (such as meat, poultry, corn, potatoes, beer, buckwheat) can interfere with calcium absorption. This means that women who have gone through menopause are at an increased risk of calcium deficiency and therefore especially need to increase calcium intake in their diets. This theory is based on the idea that the calcium in vegetables, like iron, is bound by the fibers and phytates (mineral-building chemicals in plants) in the vegetables and may interfere with calcium absorption. The theoretical worry may be balanced out by the lower phosphate content of vegetables, which can increase calcium intake. Most people have the enzyme phytase, which breaks down the phytic acid in vegetables. “Couch-potatoism,” or lack of exercise, may contribute as much, or more, to osteoporosis rather than lack of calcium. Weight-bearing exercise (just about any exercise except swimming or cycling) not only builds muscle, it builds bone. After weaning, breastfeeding mothers regain the bone mass they may have lost. 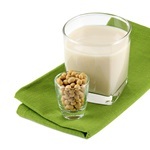 Some even get a perk by regaining more, which has the same effect as to boost your calcium intake through diets.